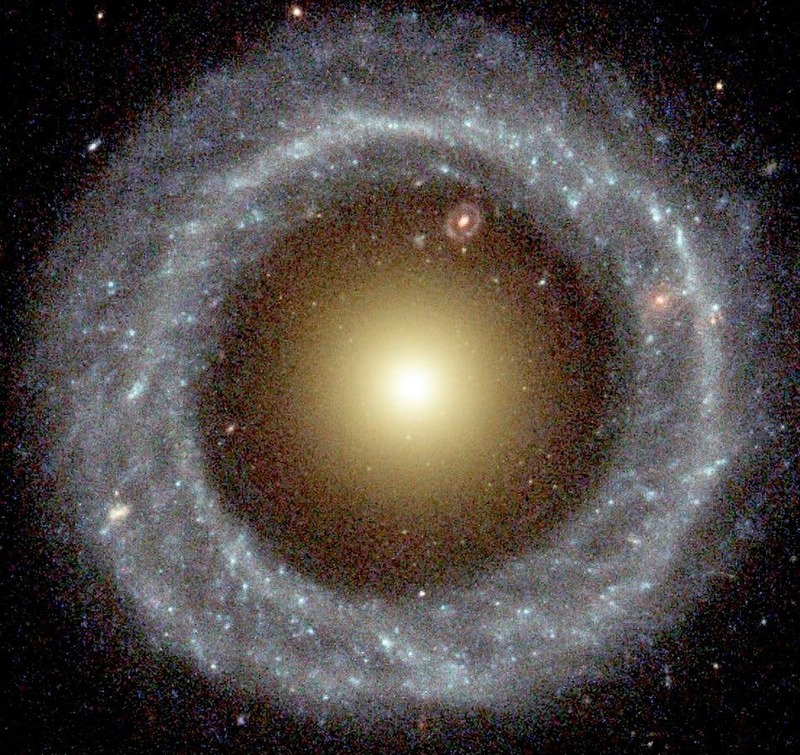 Approximately 359 million light-years away from Earth, there is a galaxy with an innocuous name (PGC 1000714) that doesn't look quite like anything astronomers have observed before. 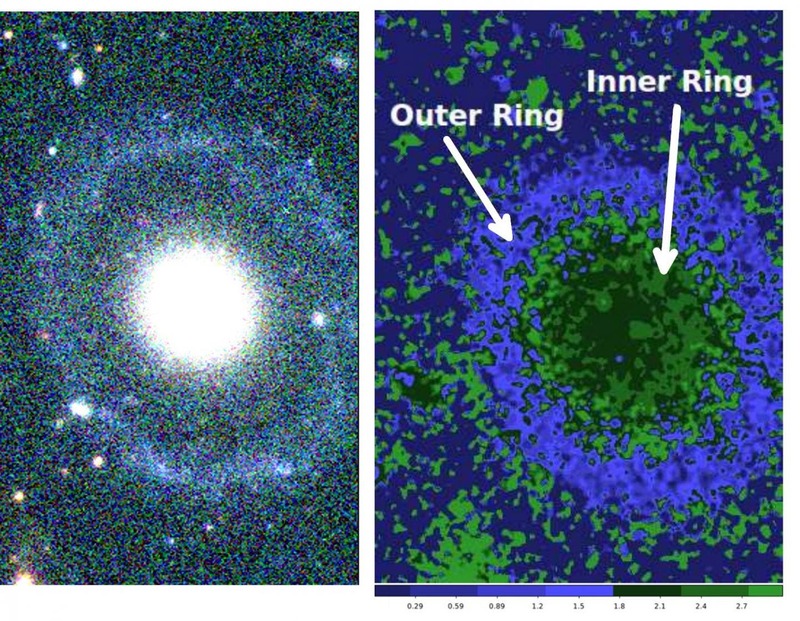 New research provides a first description of a well-defined elliptical-like core surrounded by two circular rings — a galaxy that appears to belong to a class of rarely observed, Hoag-type galaxies (Hoag’s Bull’s Eye Galaxy 600 million light years away is shown above). Ripple at Edge of the Milky Way –"Reveals Veil of Dark Matter Cloaking a Dwarf Galaxy"